SRINAGAR: Heeding to the call of Joint Resistance Leadership (JRL), one of largest traders’ body in Kashmir, ‘Beopar Mandal Mahraj Gunj Srinagar’ on Wednesday held a protest rally against the rights violations. Hundreds of traders joined the protest which was held in Old Srinagar city. The participants holding the placards marched in protest and staged a sit-in which was addressed by various traders. The speakers said that the state has waged a war against the people of Kashmir, under which the youth were being targeted mercilessly. They said human rights violations in Kashmir were at its peak with unabated killing day in and day out and use of pellets. 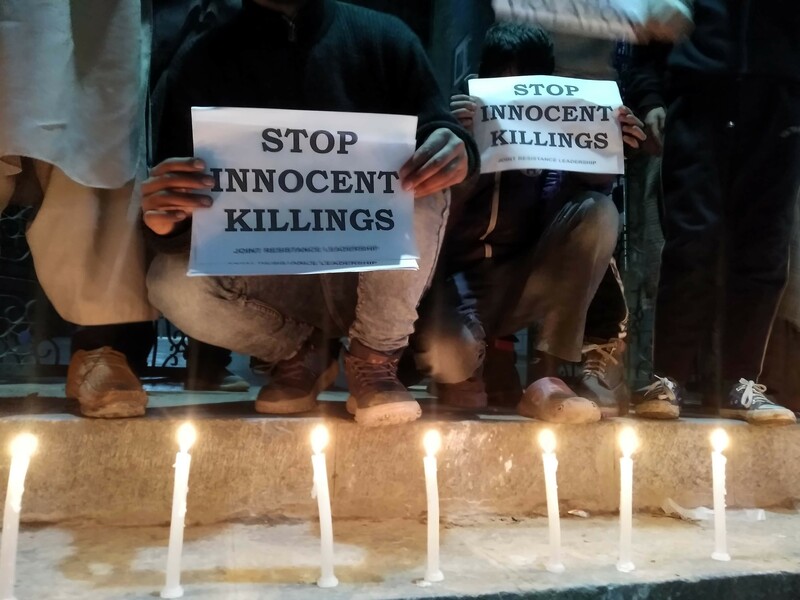 They appealed to the world community to raise their voice against the ongoing killings of Kashmiris, using of deadly pellets, arresting of innocent youths and harassment of people under the garb of cordon-and-search-operations.